What is the best dose for me? WHAT ARE ESSENTIAL FATTY ACIDS (EFAs), & WHY DO WE NEED TO TAKE OMEGA-3 EFAs? Essential fatty acids (EFAs) are polyunsaturated fats that our bodies need but cannot produce. They must be consumed through food or supplements. The body must receive a balanced supply of omega EFAs to ensure proper eicosanoids production. Eicosanoids are hormone-like compounds that affect virtually every system in the body: they regulate pain, help maintain proper blood pressure and cholesterol levels, and promote fluid nerve transmission. The problem is that, in our modern industrialized food system, omega-3s have become largely absent from the food chain while omega-6s have become overabundant. Even the healthiest diets contain too many omega-6s and not enough omega-3s. Decades of scientific evidence indicates that this EFA imbalance can contribute to a variety of chronic health issues. Please refer to the document Omega-3 Science Studies. The most beneficial omega-3s that we’re missing are EPA (Eicosapentaenoic acid) and DHA (Docosahexaenoic acid). 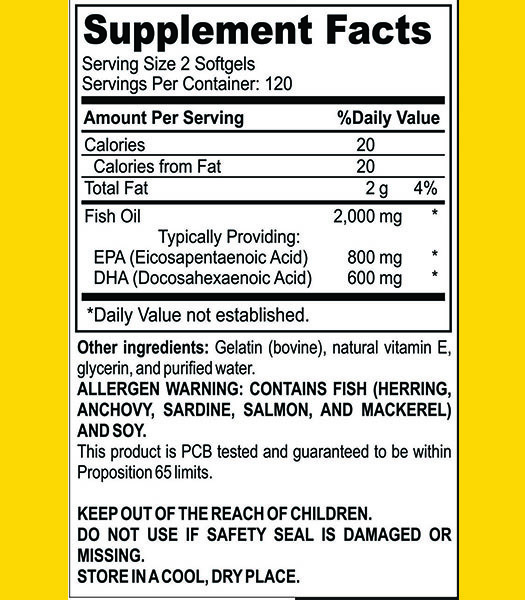 Purified high potency fish oil is the best direct source of EPA and DHA. American Heart Association states: “Omega-3 fatty acids benefit the heart of healthy people, and those at high risk of, or who have, cardiovascular disease. “ For further information please contact Service@OHB3.com or call 877.572.3444. Please also make sure the fish oil you use has a good effect on digestion. If you are experiencing fish burps or “repeating” chances are the oil you are consuming is either of low quality or is rancid. It can be very off putting to suffer in this manner as it’s totally unnecessary if you can be assured of high quality and freshness. Also make sure the product you take is guaranteed to be free of contaminants and should meet the guidelines in the California Prop 65 limits on contaminants. For example our oils are tested regularly by independent third party facilities to ensure that we are supply you the very best oils possible. When to Take Your Omega-3 Dose? WHAT ARE POSSIBLE SIGNS OF OMEGA-3 DEFICIENCY? Hypertriglyceridemia (elevated triglycerides): Studies have used 1-4 grams/day of fish oils. The only FDA-approved fish oil product for elevated triglycerides (Lovaza), 4 grams/day given in two divided doses provides 1860 mg per day of EPA and 1500 mg per day of DHA (or 3360 mg TOTAL EPA/DHA per day). Tip: True Omega-3®, available without a prescription can provide 2000mg of EPA and 1500mg of DHA with 5 capsules instead of the 4 Lovaza capsules. 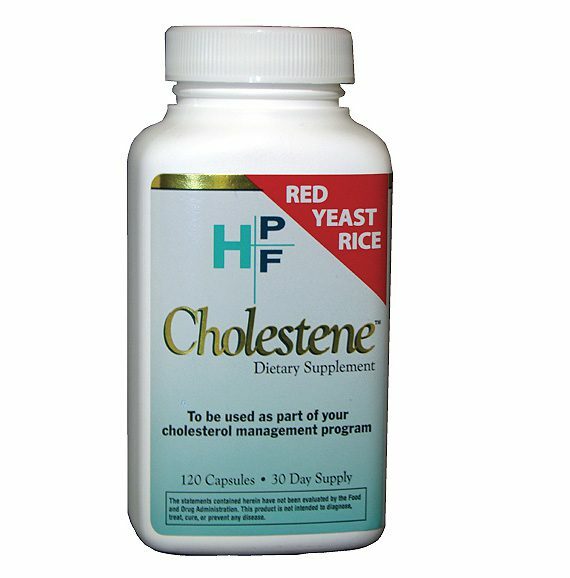 Combined hypertriglyceridemia and hypercholesterolemia: 1800-2160 mg of EPA and 1200-1440 mg of DHA (3000 to 3600 mg TOTAL EPA/DHA per day, combined with garlic powder 900-1200 mg/day) has been used to lower total cholesterol, LDL, triglycerides, and the ratios of total cholesterol to HDL, and LDL to HDL. Tip: True Omega-3®, available without a prescription can provide up to 2400mg of EPA and 1800mg of DHA with 6 capsules usually taken in two doses, morning and evening. Hypertension (high blood pressure): Studies have used either 4 grams of fish oil or 2040 mg of EPA and 1400 mg of DHA (3440 mg TOTAL EPA/DHA per day). Heart Failure: Studies have used 850-882 mg of EPA and DHA in a ratio of 1 to 1.2. Tip: True Omega-3®, available without a prescription can provide 800mg of EPA and 600mg of DHA with 2 capsules. Please also see Heart Power Multi for use in conjunction with heart failure. Reducing Death Rate: Reducing overall mortality and sudden death in patients with coronary heart disease: 300 to 600 mg of EPA and 600 to 3700 mg of DHA has been used (900 to 4200 mg TOTAL EPA/DHA per day). Tip: True Omega-3®, available without a prescription can provide 4200mg of EPA / DHA with 6 capsules. Atherosclerosis: For preventing and reversing the progression of atherosclerosis in the coronary arteries, 6 grams/day of fish oil for the first three months, followed by 3 grams/day thereafter, has been used. Tip: True Omega-3®, available without a prescription can provide 6 grams of high potency fish oil with 6 capsules. Rheumatoid arthritis: 3800 mg of EPA and 2000 mg of DHA have been used (5800 mg TOTAL EPA/DHA per day). Preventing muscle soreness after physical exercise: fish oil 1.8 grams/day has been used. Counter Indications: There are cases where too much of a good thing is a bad thing. If you are facing surgery you would need to stop taking omega-3 2 weeks before and up to 2 weeks after surgery. Omega-3 is a natural blood thinner. If you are on a prescribed blood thinner, you would need to check with your cardiologist. Usually, up to 4 capsules a day can be used in conjunction with prescription blood thinners. However, it’s quite possible that the omega-3 would be enough and the blood thinner could be reduced or eliminated from a regimen based on your doctor’s recommendations. Why Can’t We Get Omega-3 from the Foods We Eat? Fatty fish is the primary food source of the omega-3s EPA and DHA, but Americans simply don’t eat enough fish on a regular basis. Even those who eat fish several times a week will not get enough EPA and DHA because most of the fish sold in the US is farm raised and lacks EPA and DHA. Wild fish consume plankton and synthesize EPA and DHA from plankton. Farm raised fish are fed by pellets lacking plankton. Also, serious consideration must be given to concerns about environmental toxins in fish (such as mercury, dioxins, PCBs, etc.). There are several factors that can lead to reduced absorption of EFAs—age, poor diet, alcohol consumption, low levels of certain vitamins and minerals, many prescription drugs, compromised immune status, and a diet high in saturated and/or trans-fatty acids, processed foods. Folks with health challenges, compromised immune systems, or those who are currently deficient often require a minimum of 2–4 grams a day of EPA and DHA, which is difficult to obtain from fish alone. The recommendation of eating fish twice weekly is clearly insufficient. Why is Omega-6 / Omega-3 Ratio Important? Over the past several decades, industrialization in the food supply in Western nations have completely changed the type of dietary fatty acids we consume, leading to a dramatic increase in the ratio of omega-6 to omega-3 fatty acids. The range of Omega-6 to Omega-3 pre-industrialization was 1:1. As recently as 2015, an average diet in the USA was more than 20:1 skewed towards Omega-6. This leads to high inflammation in the body. This increased omega-6:omega-3 ratio is known to influence a poor nutritional state that contributes to higher incidences of many chronic diseases. To address this omega-6:omega-3 imbalance, it is recommended to increase the consumption of ALA (an omega-3 alpha-linolenic acid found in vegetables, flax, fruits) and decreasing intake of LA (the omega-6 linoleic acid in most baked goods and predominant in cooking oils). I have heard pregnant and nursing women should take Omega-3 for the sake of their baby. Is this true? It is especially important for pregnant and nursing women to ingest DHA (one of the long-chain omega-3 fatty acids) because the developing baby is dependent on the mother’s nutrition! DHA is an essential fatty acid, really a building block for a growing baby’s health. We can only get it from diet or supplements because our bodies don’t make it—and consuming enough DHA is essential, critical really, for normal and healthy development of infant brain cells, eyes, and nervous system. Inadequate consumption of DHA during pregnancy has been linked to shortened gestation and premature delivery, and mood disorders for women after pregnancy. Experts recommend that women consume 300–600 mg of DHA daily while pregnant and breastfeeding. 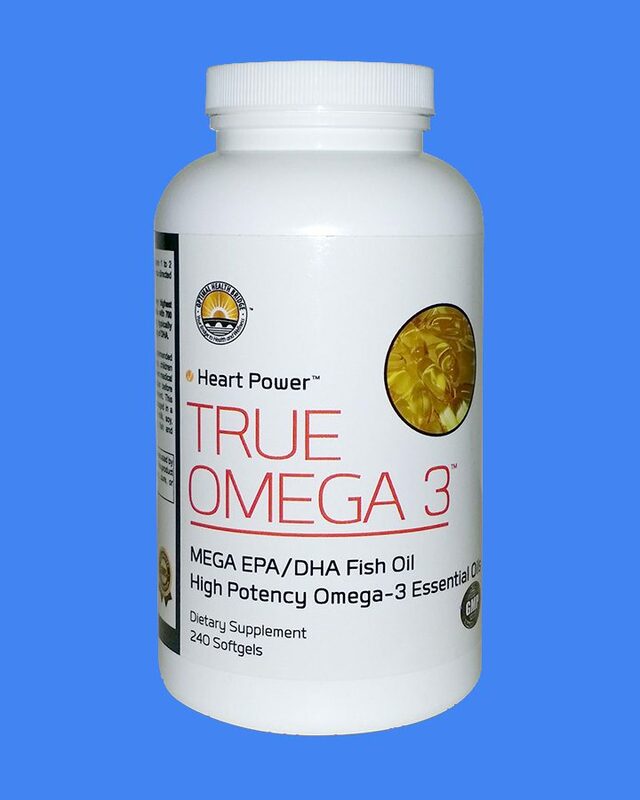 True Omega-3® satisfies this recommendation with two capsules supplying 600mg of DHA. How quickly will omega-3 work through my system and provide benefits? It will vary depending on the amount and concentration of the fish oil you are willing to take, your nutritional fortitude, dosage, and current health. We often hear that our customers “feel better” and experience “clearer thinking” and “enhanced well being” within 2-4 weeks. For best results, we recommend you take our True Omega-3 daily for at least three months to evaluate their benefits, and also reduce your consumption of saturated fats, hydrogenated oils and trans-fats. This is especially true if you are repeating a blood lipid profile test. What about other Omega Fatty Acids? Omega-5, 7, 9? In the concentration process some of the less important omega molecules are removed to ensure a higher concentration of EPA and DHA which are the two molecules that have been clinically proven to provide the most benefits. Our True Omega-3® is concentrated to ensure a typical result of 400mg of EPA and 300mg of DHA. If you use Extra Virgin Olive Oil from a trusted source you will get plenty of Omega-9s. We’ve decided to recommend USA made olive oils due to the lack of controls on foreign labelled olive oil that have been compromised over the years, including Italian and Sicilian brands. 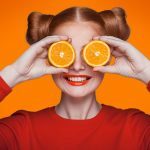 What are the earmarks of a good Omega-3?